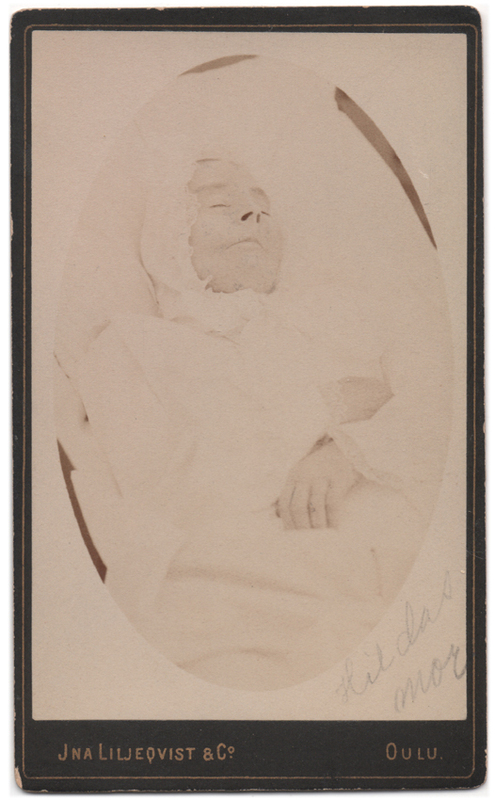 A rather faded post mortem photograph of a woman dressed all in white, her arms crossed across her chest and her hair covered by a lace-trimmed bonnet. She doesn’t look very old. Someone has written on the photograph: “Hildas mor” (“Hilda’s mother”) underneath the image, and “mormor” (“grandmother (from mother’s side)”) on the back. 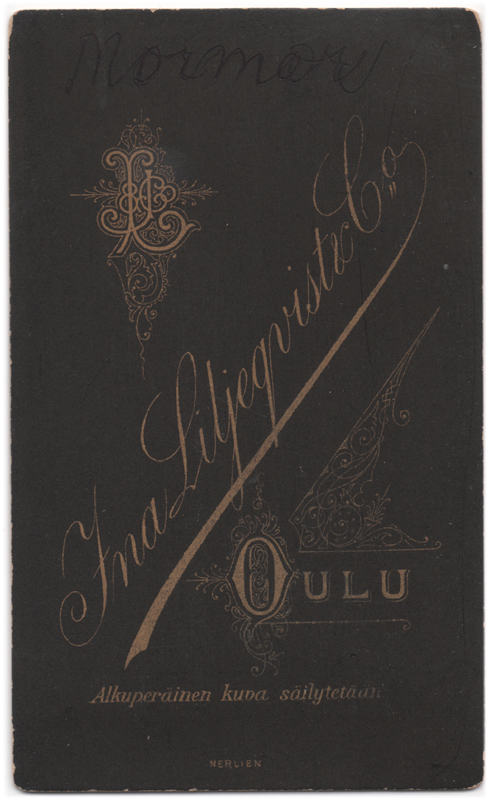 The photograph has been taken in Oulu, Finland, by photographer Ina Liljeqvist, likely at some point during the late 1890’s.